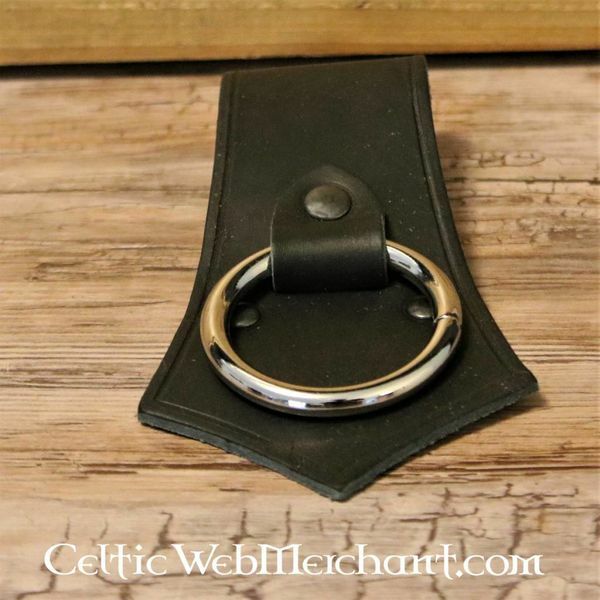 Handy axe holder with ring. 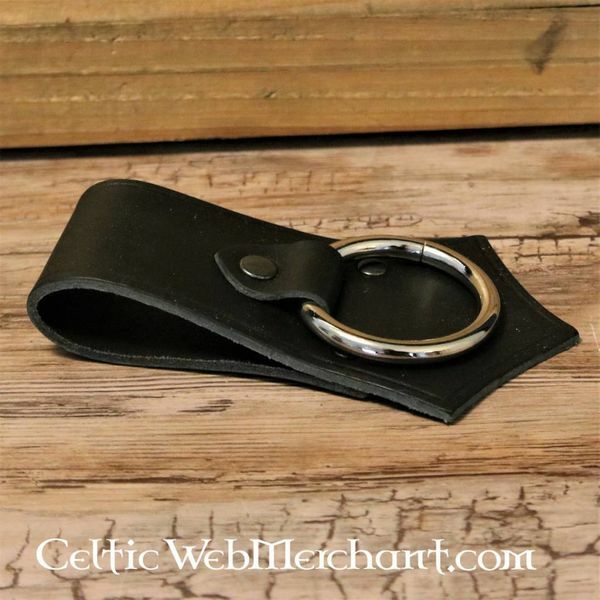 Also suitable to attach other objects to, such as purses. 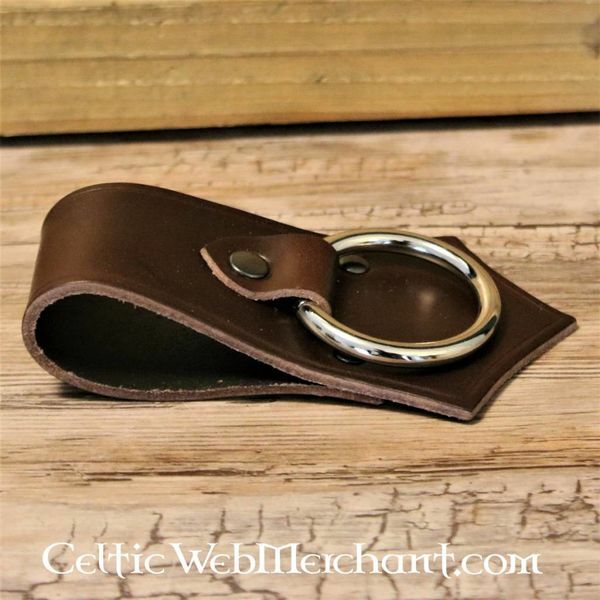 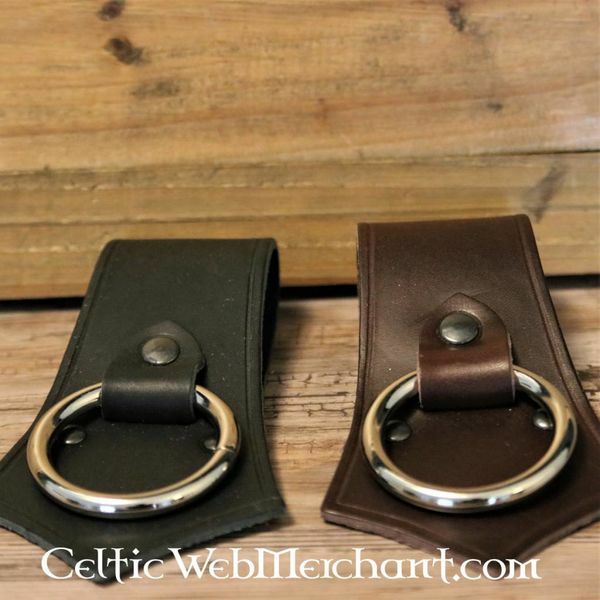 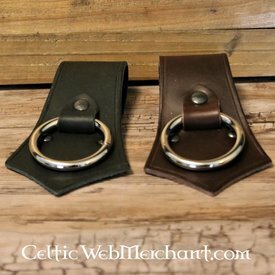 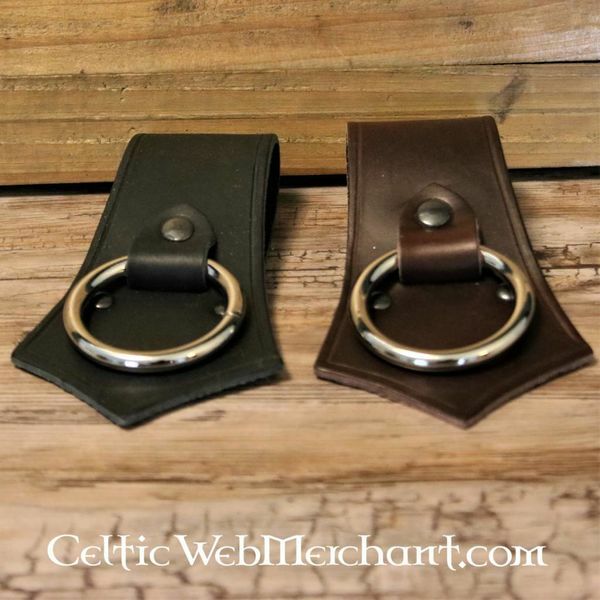 This holder is made of a high quality leather and can easily be worn to the belt. 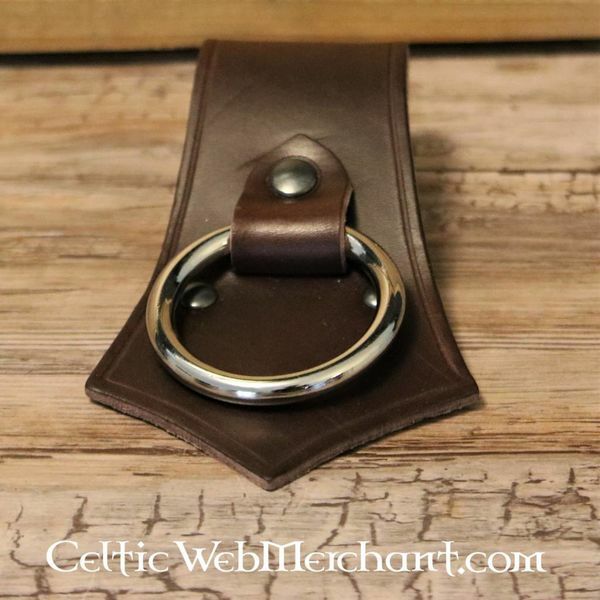 It is available in black and brown leather.